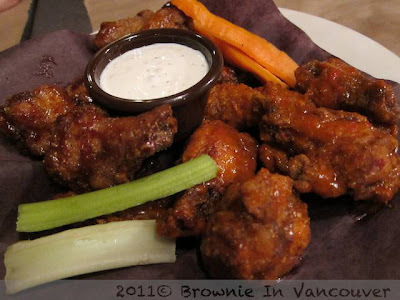 We started off with the wings which were hot and spicy and great with beer. Followed by D's standard order at Montana's is the Honkin beef rib - terribly tasty, tender, fall of the bone and as the name suggests quite large. 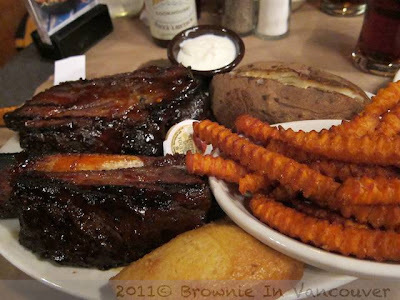 You'll be hard pressed to finish 2 ribs especially since they come with 2 sides. I had the sliders the last time round and was set on a burger but they have since taken them off the menu so I settled for the firecracker burger. 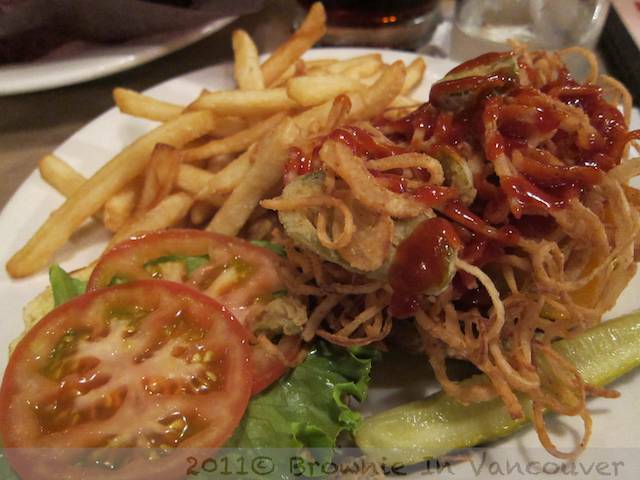 It satisfied my craving just as well - I liked the finely sliced fried onions and the hot sauce that topped the burger. Update: D went recently and said that the ribs weren't as tender as they were usually so not sure if the standard has slipped.